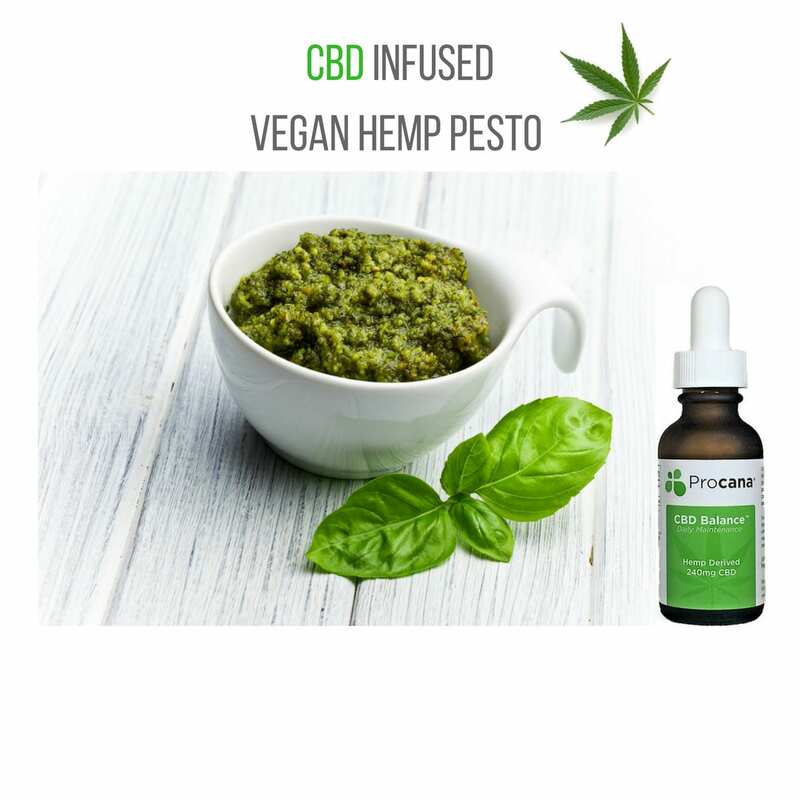 This Vegan Hemp Pesto recipe is packed with nutritional benefits from organic Hemp Seeds (Protein + Omegas, EFA’s, Zinc, Phophorus, Magnesium) and healing properties of CBD (Cannabidiol). You are welcome to infuse it with whatever dose of CBD you prefer. 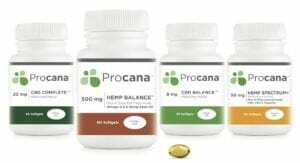 Procana’s CBD Balance 240 mg + CBD Complete 600mg Droppers are infused with Extra Virgin Olive Oil which makes it palatable as well as an easy addition to your favorite recipes. 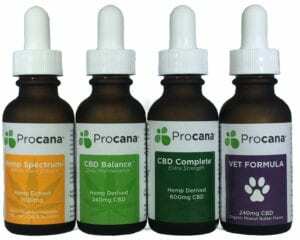 Infusing Procana CBD with food makes medicating so much more enjoyable! Place the basil, garlic, and hemp seeds into a food processor fitted with the S blade. Pulse about 10 times, to help break down the basil. Add all rest of the ingredients. Process till smooth, adding an extra drizzle olive oil if needed to thin the pesto. Serve. *You may titrate and play around with how many mg of CBD you would like for dosing. Leftover Pesto can last upto 3 days in an airtight container in the fridge, it may be frozen for upto 1 month.